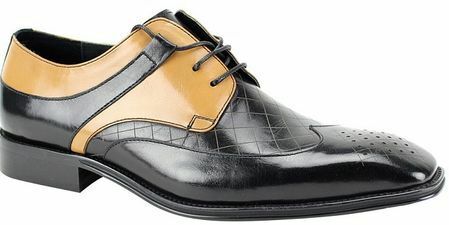 Giorgio Venturi and Giovanni leather dress shoes are all designed in Italy with a style that is sure to get your feet noticed quick. 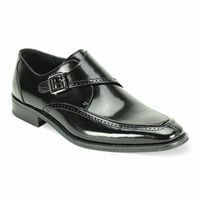 These highly polished leather dress shoes will really shiny on your feet. Giorgio Venturi makes all of the styles that are currently popular in Italy but at an affordable price. The leathers used in Giorgio Venturi dress shoes are high quality calfskin leathers that are highly polished and shine like no ones business. Whether you like to roll with wingtips, cap toes or even 2 tone leather shoes, Giorgio Venturi should be on your shopping list. 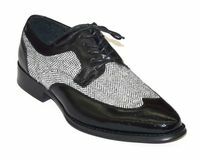 If you like the smooth style of Giorgio Venturi, you'll certainly appreciate stylish Stacy Adams Shoes.